The core technology of the GreenLPG process is the catalytic conversion from raw material to product. A propriety catalyst system yields propane, also known as Liquefied Petroleum Gas, LPG. Extensive know-how of purification of the crude glycerine adds to the value. Since it is a gas-phase reaction which takes place under mild conditions, it is not only simple but also cost-effective. 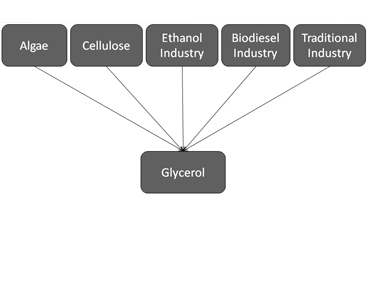 Glycerine is a harmless, widely available chemical, obtained for example as by-product in the production of biofuels such as bioethanol and biodiesel, but also from many other sources. As a by-product from biofuels production, it is considered by the EU as 100% CO2 neutral (2009/28/EC).